Cut Off Your Hands Announce 'Hollow' Album Release Tour Local alt-rockers Cut Off Your Hands have announced they will play a five show tour of New Zealand in support of the release of their new album ‘Hollow’. Motocade Announce Ten Date National Tour With a hurtling rhythm section, erratic and explosive guitars and vocal melodies and harmonies that send shivers to the nether regions, Motocade’s musical style has made an imprint in amongst the New Zealand alternative populous. 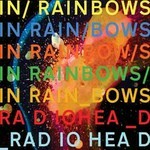 Radiohead album release - 'In Rainbows' Radiohead release the album "In Rainbows" on CD and vinyl on December 31. Wellington band Grand Prix on track - Metaphorically WELLINGTON — Wellington band Grand Prix has a new line-up, and a fresh set of metaphors raring to go in its latest album.